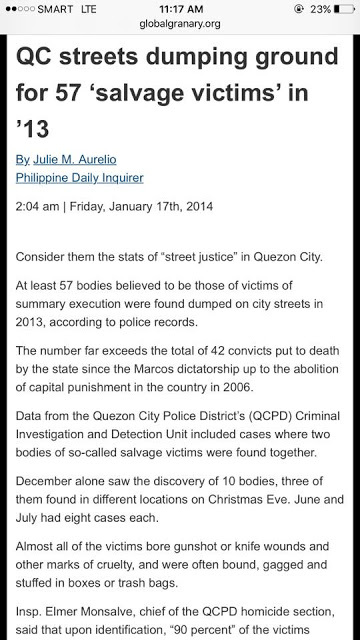 The Truth Behind "Kian Delos Santos" Who Was Killed During The One Time Big Time (Oplan Galugad) Operation! Last Wednesday night, August 16, a teenager named Kian Loyd Delos Santos was killed during the One Time Big Time (Oplan Galugad) Operation of the Philippine National Police in Brgy. 160 in Caloocan City. According to the report of Caloocan Police, the Grade 11 student took a gunshot to his body, after he reportedly drag a firearm to gun down the coming police officers. 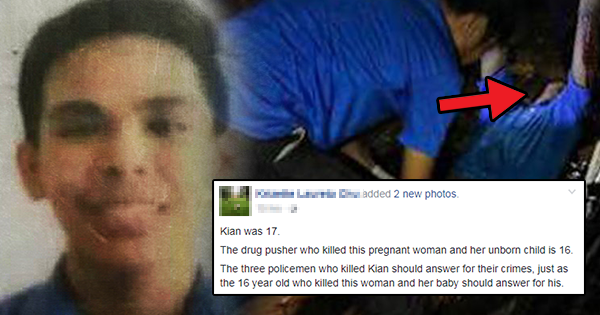 The police found out two sachets of surmised shabu, a .45 caliber pistol, and four bullets on the 17-year-old Kian. But the CCTV footage showed a different plot of what truly happened during the operation. In the video, we can see that two men in civilian clothes were seen dragging a young man to an unseen spot while having their lookouts standby. A few minutes later, another man followed his associate. The witness also told ABS-CBN that she still saw Kian tearfully running for his life. 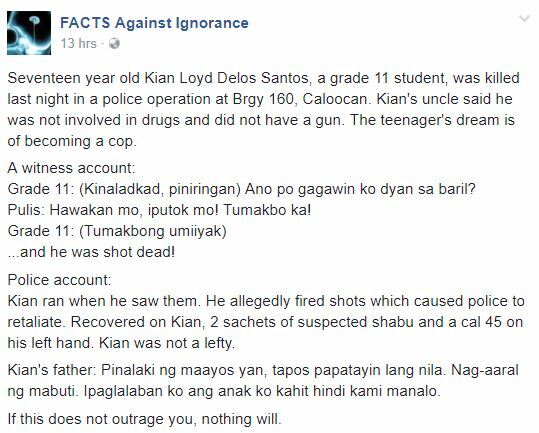 While Kian is running the said policemen shoot him down. The said incident became controversial because of the different scenario's between the policemen's, the witnesses and even the CCTV footage in the place where it happened shows different outline. The incident generates a different reaction from the netizens, some of them say's that the Grade 11 student was a victim, and others say that it is all because of our President Duterte. The Facebook post gained 10k likes, 6,077 shares and 742 comments as of this writing. 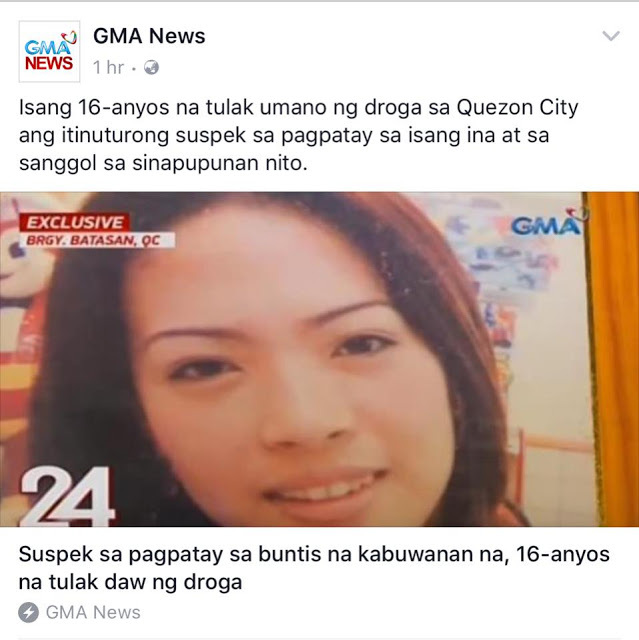 It generates a different reaction from the netizens, but somehow some of them criticized the Facebook user for what she posted. However, some of them thought that the facebook post of Krizette Laureta Chu purposed is to raised awareness.